Deciding to sell your property is a decision that takes some thought	Even the most desirable homes need an expert behind the deal. Using a careless agent makes selling your home a pain. The smoothest transactions happen as a result of having a committed, experienced agent. With my resources at Tom Rizen, I promise to deliver a positive selling experience! I’ll promote your home as a top priority, ensuring it gets the exposure it commands in all available markets, even nationally. Every agent in Mesa will be exposed to your house. Your home will show in top selling condition, and I'll help by suggesting noticeable fixes to prep and stage your home for Open House events in Mesa. Your needs are my top priority and my priorities reflect it. I'm there when you need me — on the go, by email, and even through text message. 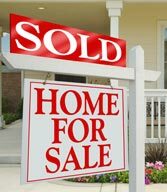 As a popular agent in Mesa, I can ensure that you’ll get the best price for your home and get it sold quickly. It's easy to grab any agent, but deciding on the right agent takes planning. Your home spends less days on the market in Mesa when you have a top-selling, honest agent backing you. I'm available to answer any questions that you have about selling your biggest investment. E-mail Tom Rizen at terizen@gmail.com or call 480-844-0600.